These “mad lib”-style worksheets are instant math motivators! 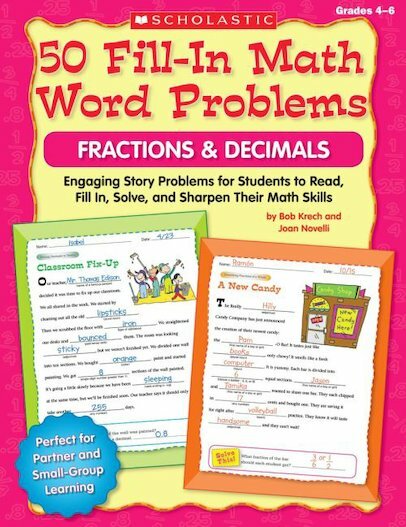 Each hilarious fill-in story gives kids a fun way to practice solving word problems. Skill topics correlate to the NCTM standards and include identifying and comparing fractions; addition, subtraction, multiplication, and division with fractions; identifying and comparing decimals; and addition, subtraction, multiplication, and division with decimals. Perfect for partner and small-group learning, day starters, or homework.